'Denis Wick (previous 1st Trombone LSO) put it this way. 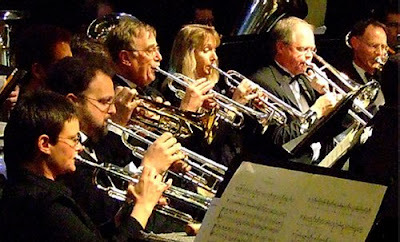 Playing symphony brass is like flying a Jumbo. Long periods of boredom with nothing to do, followed by a few minutes of terror when you land the plane' - says Steve Freeman on I don't worry about status. Now how about the Art of Fugue for brass? Wherever it came from, it's a great line.